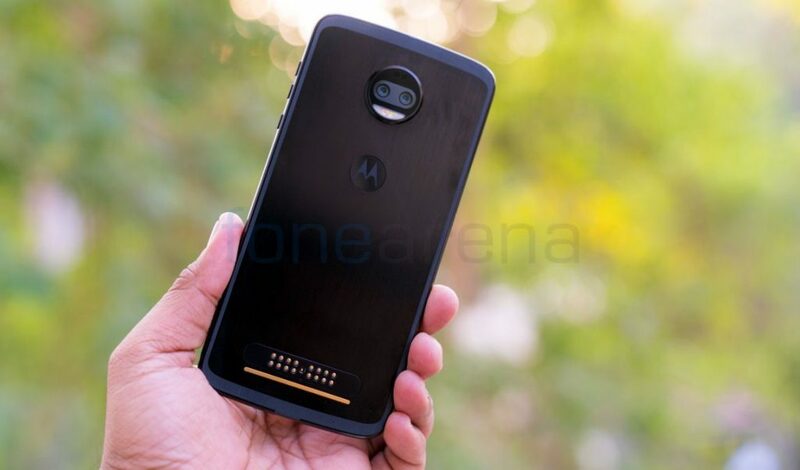 Motorola last week launched the successor of Moto Z Force in the Indian market billed as Moto Z2 Force with the shatterproof display. Priced at Rs 34,999, does this smartphone lives up our expectations? Let’s find it out. We recently unboxed the phone, check out the video below. 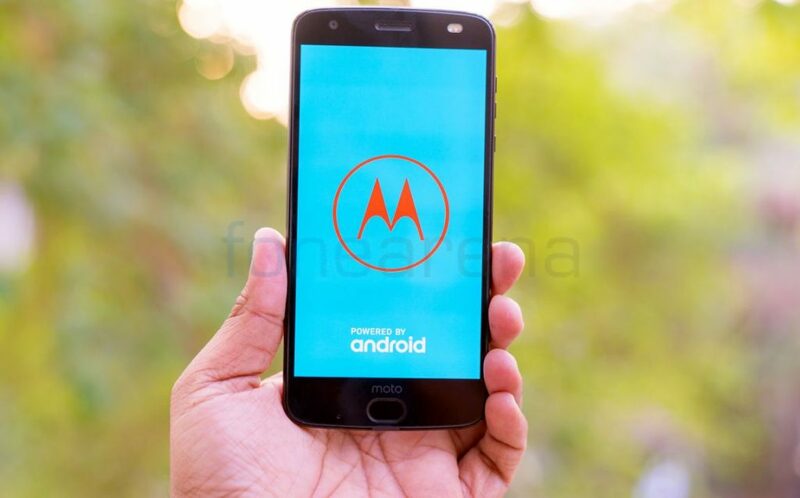 The Moto Z2 Force sports a 5.5-inch (1440 x 2560 pixels) Quad HD AMOLED POLED ShatterShield, shatterproof display with a pixel density of 534ppi. The display is bright with amazing color reproductions and good viewing angle. The sunlight legibility is good as well when the brightness bar is set higher in outdoor conditions. It has bezels above and below the screen so the screen-to-body ratio of the phone is about 70%, which is definitely less compared to some of the latest smartphones with full-screen displays. The device measures 76 x 155.8 x 6.1mm and weighs just 143 grams. It goes easy on your wrist and you won’t be feeling the phone when kept inside your pant pocket. The Moto Z2 Force is comfortable to hold and feels super slippery without any back case or Mods. The Z2 Force is made out of 7000 series aluminum, which attributes to its appealing exterior looks and elegance. In order to test its shatterproof display, we dropped it a handful of times just to find out some truth to Motorola’s Moto Shattershield promise, which guarantees the screen will not crack for four years. 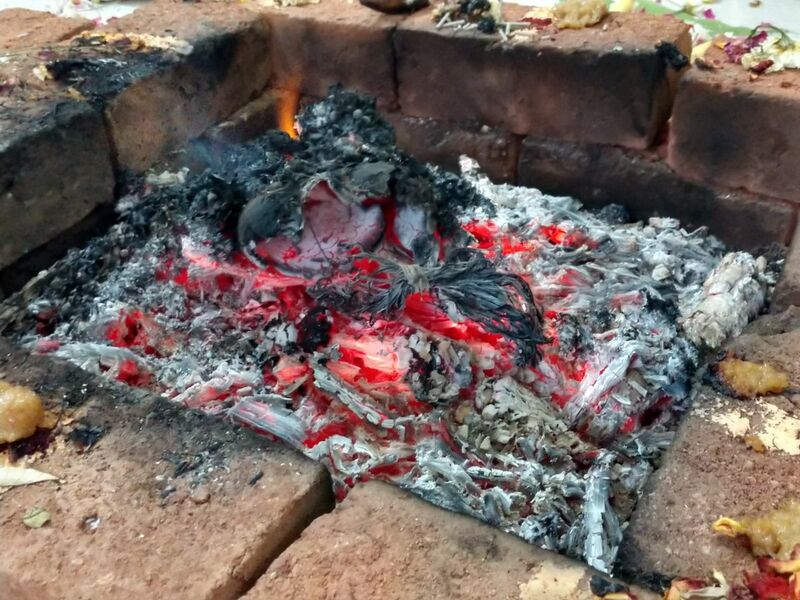 And yes, it didn’t crack but gets scratched easily. 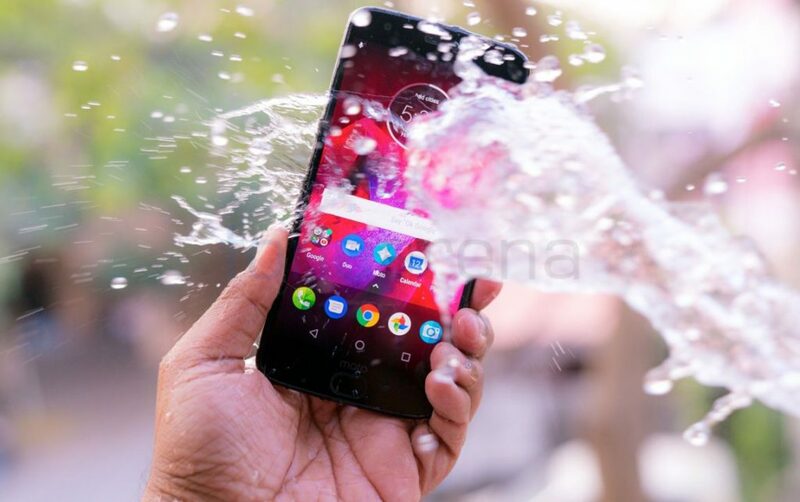 The phone has water-repellent nano-coating that protects the phone accidental spills, splashes or light rain, but it doesn’t have IP ratings for water resistance. Talking about the placement, there is an earpiece above the display that also houses the loudspeaker. 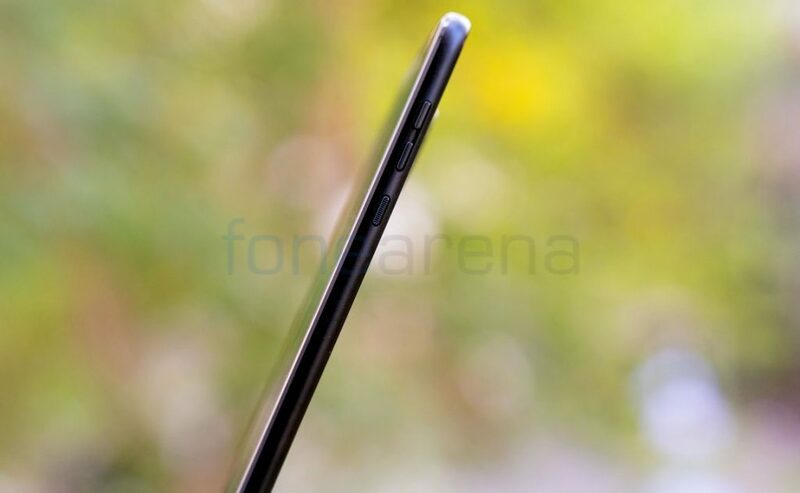 It has a 5-megapixel front-facing camera on the front accompanied by a flash. In addition to the usual set of proximity and ambient light sensors, the phone also has a gyroscope and magnetic sensor otherwise known as a magnetometer for VR headsets. It doesn’t have an LED notification light. 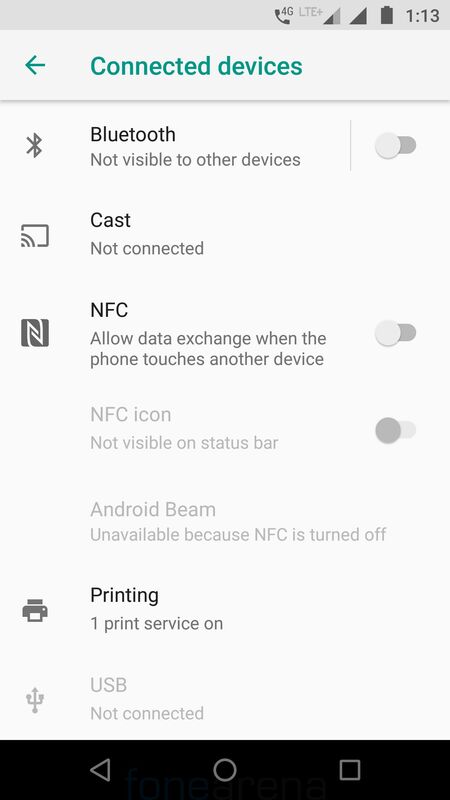 It has on-screen buttons, but there is a fingerprint sensor below the screen that can be used for controls when you disable the on-screen buttons. There is also a microphone next to the fingerprint sensor. 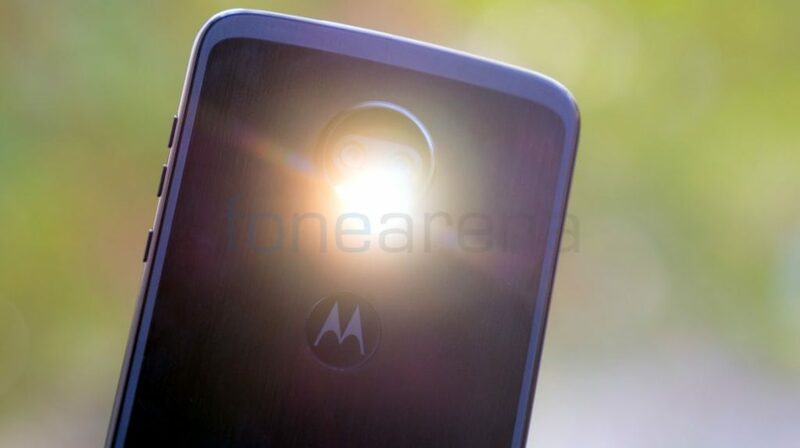 There is also a moto logo above the sensor. The volume rockers and the power button are present on the right side. SIM and microSD slot are present on the top along with a second microphone, and USB ports are present on the bottom. This has a hybrid SIM slot that accepts two nano-SIM cards or a nano SIM and a microSD. 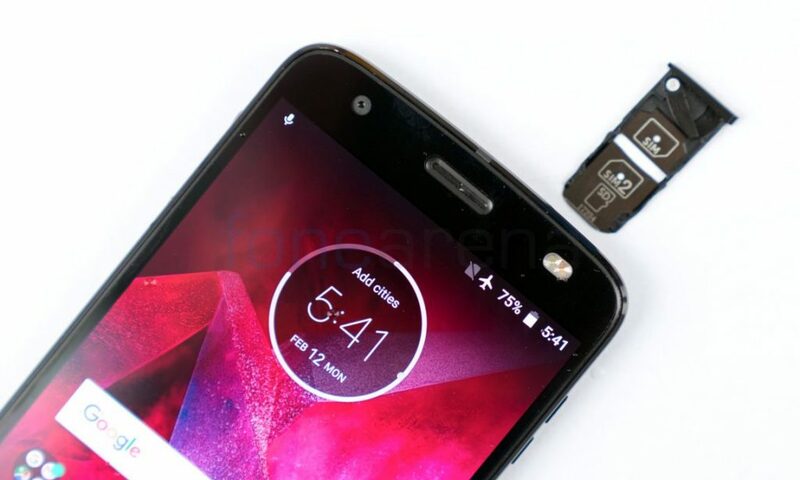 The Moto Z2 Force lacks 3.5mm audio jack and it’s annoying to listen to music using the 3.5mm to USB Type-C converter. It is recommended to get USB Type-C headphones. There are 12MP dual cameras (monochrome + color) on the back with dual-tone LED flash that protrudes out. 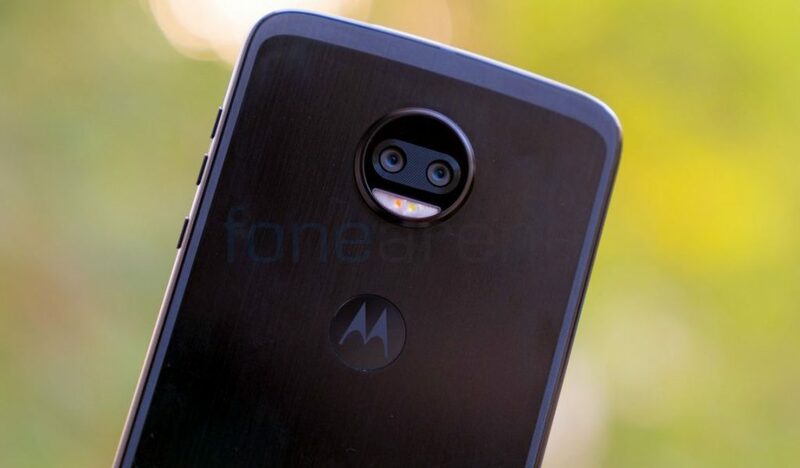 There is a usual Moto logo below the camera. There is also a third microphone on the bottom part of the back along with the magnetic strip that helps in attaching the Moto Mods. It also has Antenna band goes all the way around the back of the phone, which is kind of new unlike others copying the iPhone. 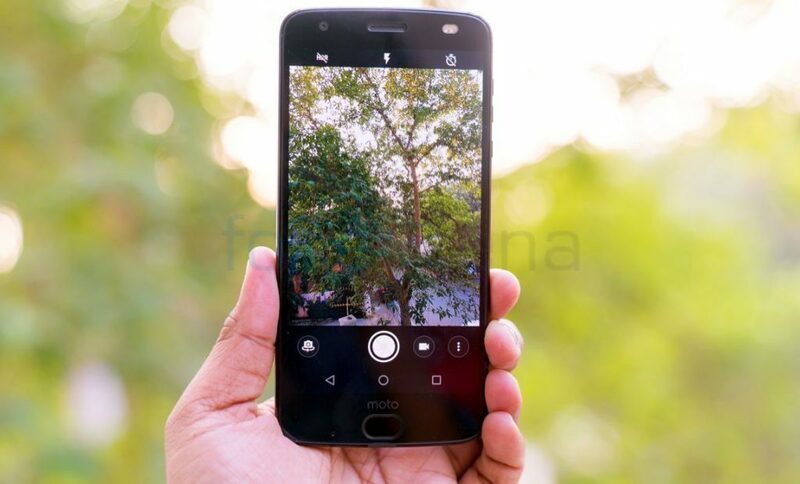 The Moto Z2 Force comes with a 12MP dual rear cameras (monochrome + color) with dual-tone LED flash,ƒ/2.0 aperture and has Sony IMX386 sensors with a pixel size of 1.25um along with PDAF, Laser Auto Focus, and 4k video recording. 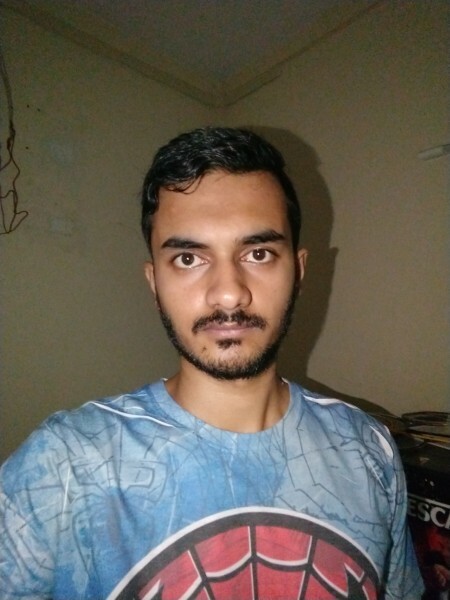 The front side of the device is taken care of 5MP front-facing camera with dual-tone LED flash, f/2.2 aperture and 85-degree wide-angle lens. 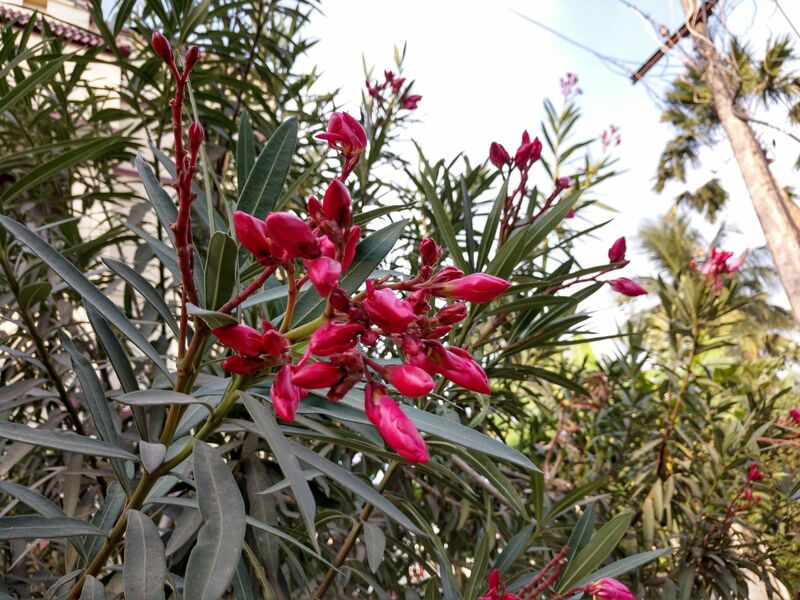 The UI of the camera is pretty simple with a menu for HDR, Flash On/Off, Timer and at the bottom, we have camera shutter, video option, and toggles for front and rear cameras. If you tap on the feature setting on the right bottom (three dots), you will get to access Professional mode, True B&W, Depth enabled, Panorama and Photo. The device takes some good shots under daylight condition with a good amount of details. 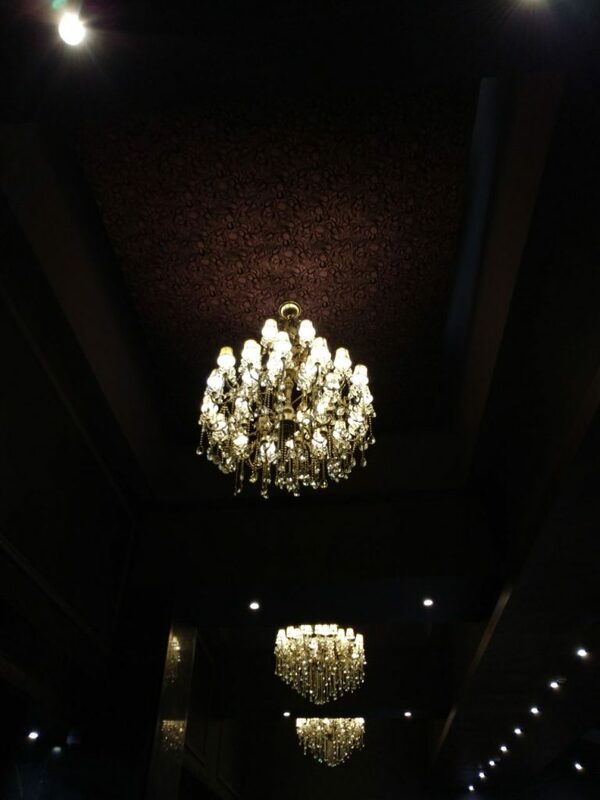 However, the quality of the image is way beyond the current flagship models. 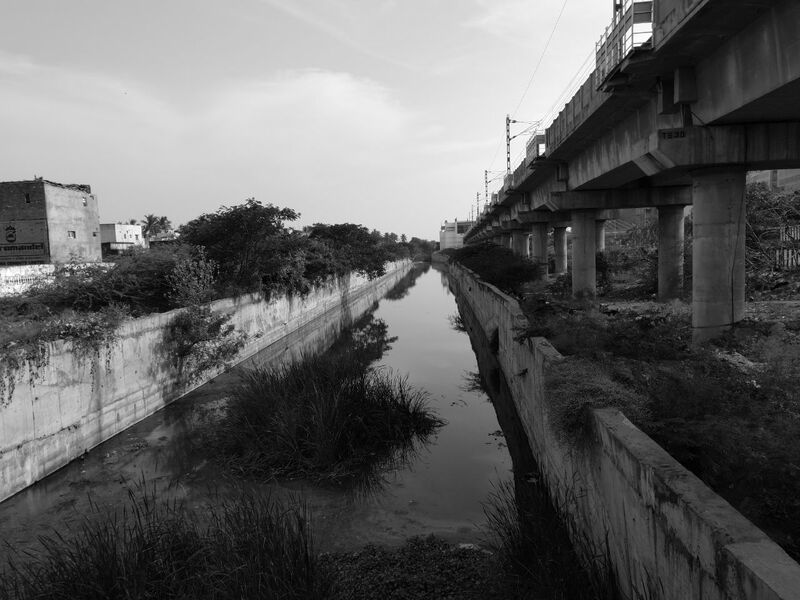 The Monochrome shots come out well, Depth-enabled shots were good, where it perfectly blurs out the background. 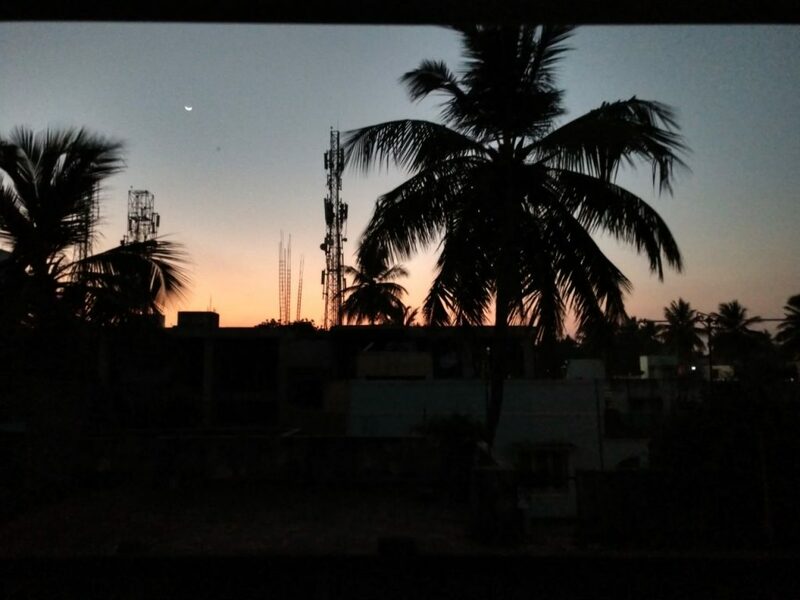 When it comes to low-light, the Z2 Force do takes some usable images comparatively good than other smartphones at this price range. 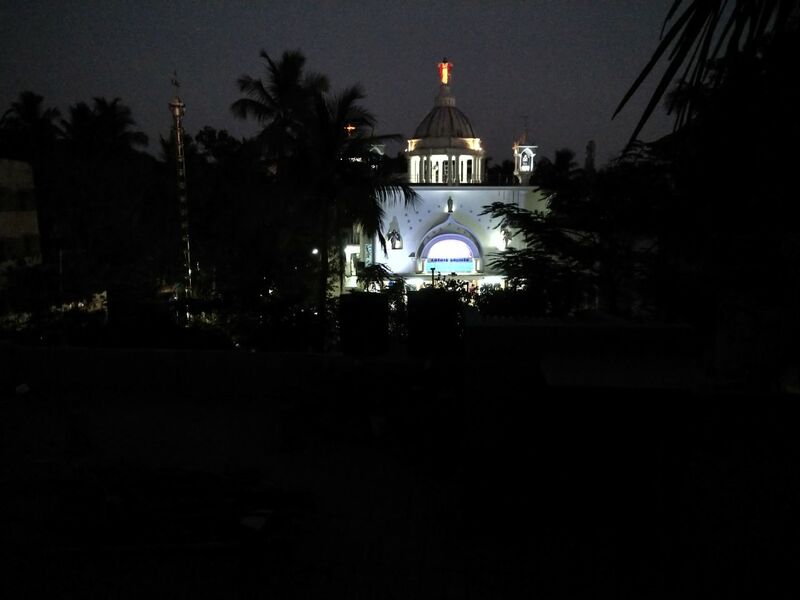 While taking photos it does pick up noise most of the times under low light. 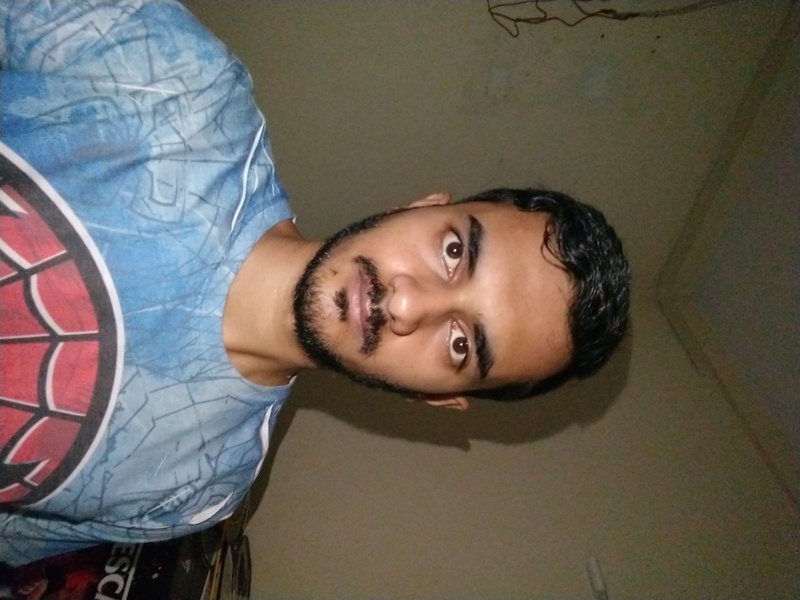 The 5MP front camera is quite good for selfies in daylight condition and the front flash comes handy during night times for reasonably good selfies. 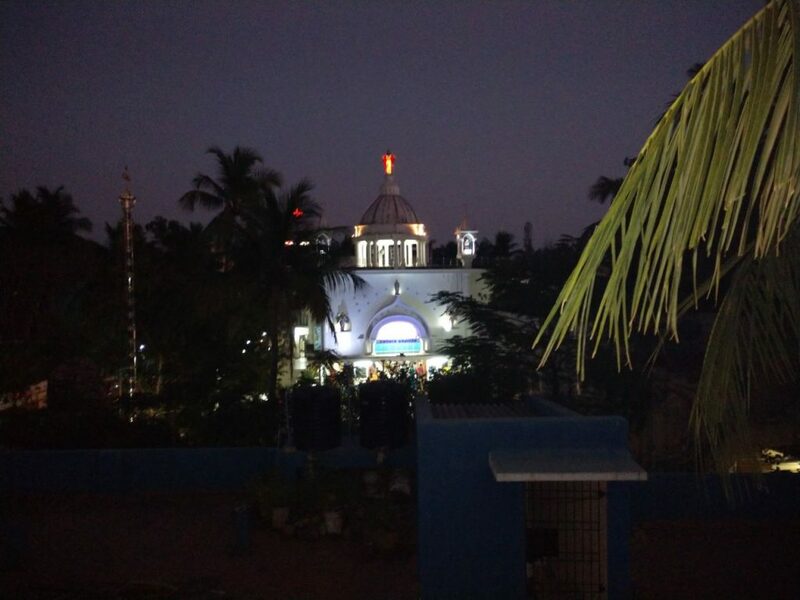 There are also some smart camera features – Object recognition and landmark recognition options that can identify an object or landmark from the picture you capture. The object recognition works as mentioned, but you need to download landmark database. Both these automatically give you information when you use the camera. The Moto Z2 Force is shipped with Android 8.0 (Oreo) out of the box with Android Security patch for December 1, 2017. 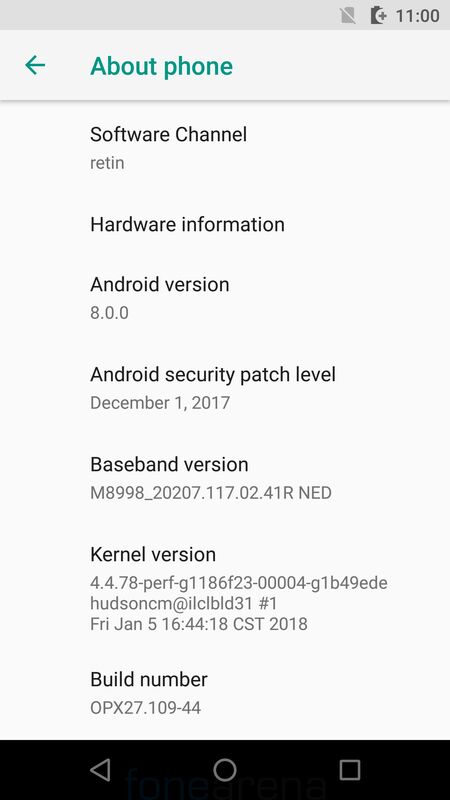 The company doesn’t say when it will get Android 8.1 update. 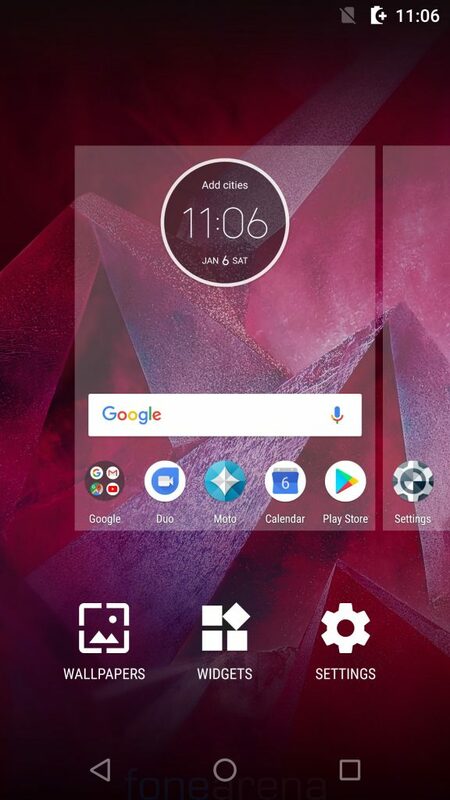 Just like any other Motorola devices, it runs on the stock with added Moto features such as Moto app. 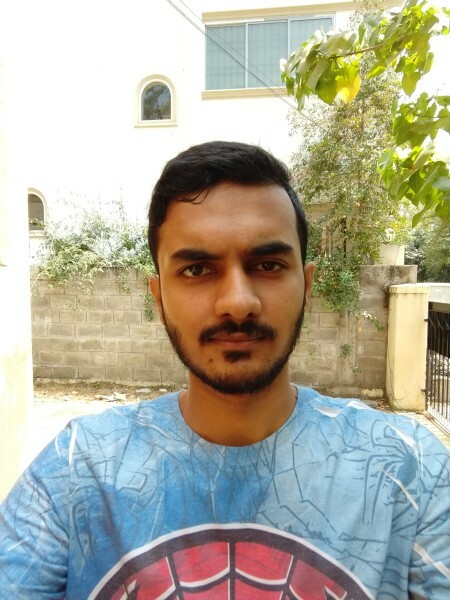 It has nothing specific when it comes to the app as it offers stock Android Oreo experience with auto fill, improvements by limiting tasks that run in the background when not in use, Picture-in-picture mode, additional Bluetooth audio codecs and more. 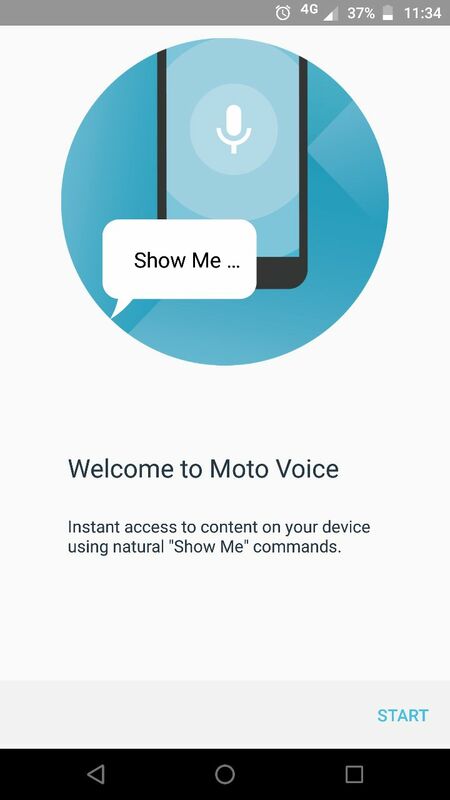 It comes with the usual Moto app that offers several features such as one button nav option so there is no need to use on-screen back, home, and overview buttons. A simple swipe or tap of the fingerprint reader can trigger these functions. This also gives haptic feedback when an action is performed. 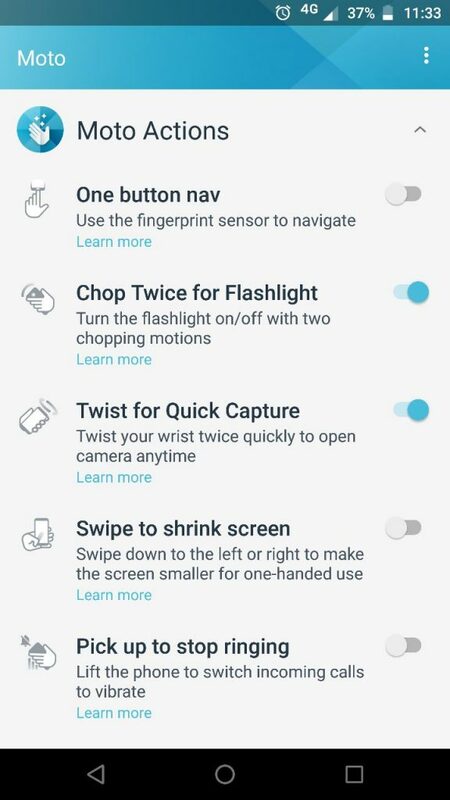 It has Moto Actions that has eight features – quick screenshot to take screenshot by placing three fingers on the screen, one-button nav, double karate chop to turn the torch on/off, Twist the phone to launch the phone’s camera to capture images quickly, Swipe up, left or right to shrink the screen, pick up to stop ringing, flip the phone for ‘do not disturb’ and approach the phone for Moto Display. The Moto Display offers time at a glance when you pick up the phone and also offers notifications on the black screen when you receive them. You can swipe up to go to the particular app that sent the notification or swipe either left or right to dismiss them. 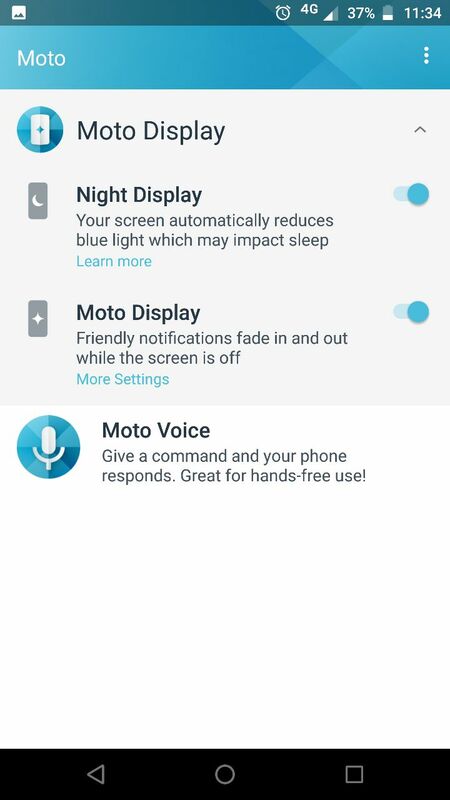 Moto Display compensates for the lack of LED notification light. The night display option automatically reduces blue light which may impact sleep at a specific time or based on alarm or sunset. 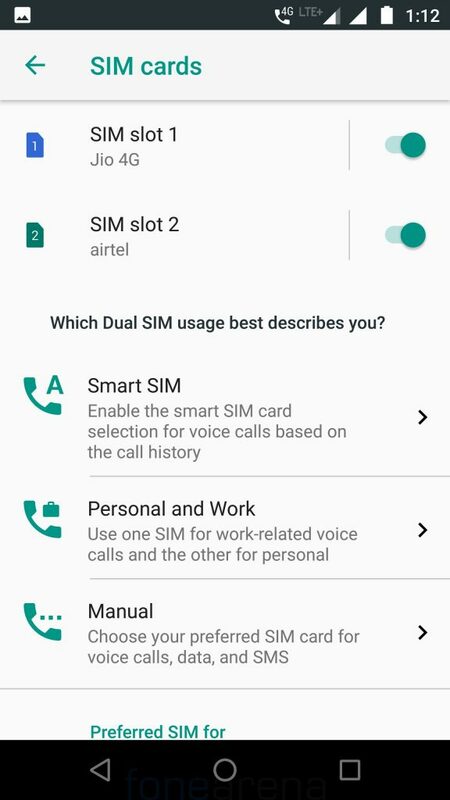 There is also attentive display option that will not put the phone to sleep while you are looking at it. 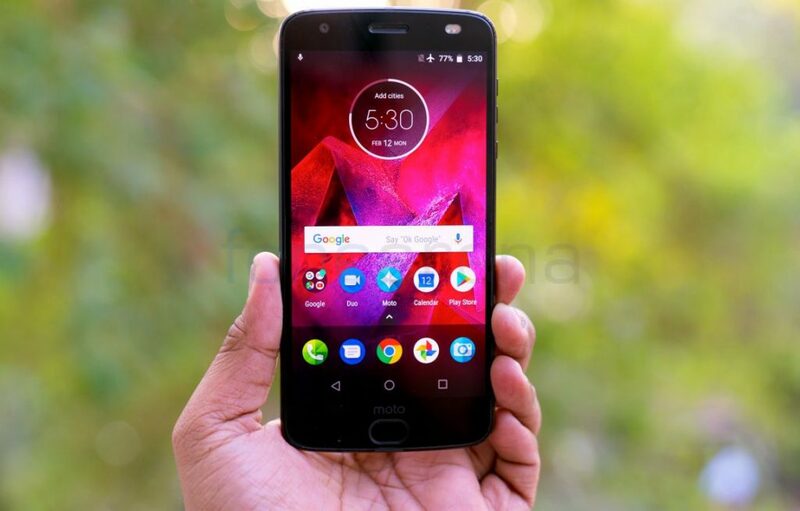 Apart from that, there is a dedicated app called “Moto Z Market”, where you can purchase varieties of Mods and other accessories for your device. 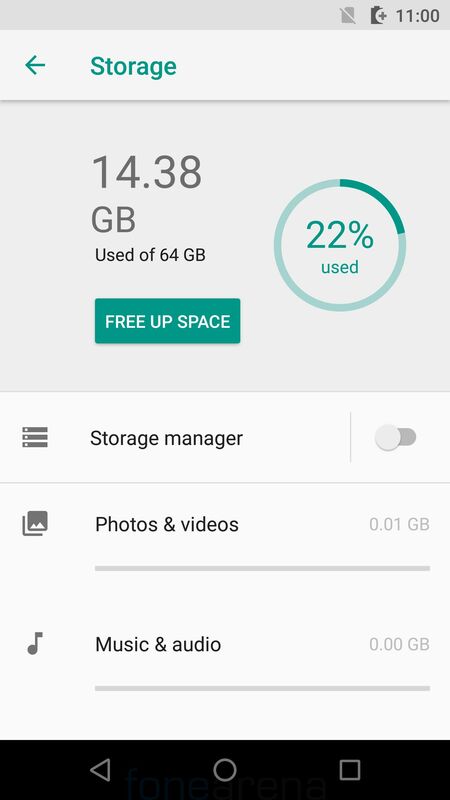 Apart from the usual set of utility apps and Google apps, it doesn’t have any other bloatware. 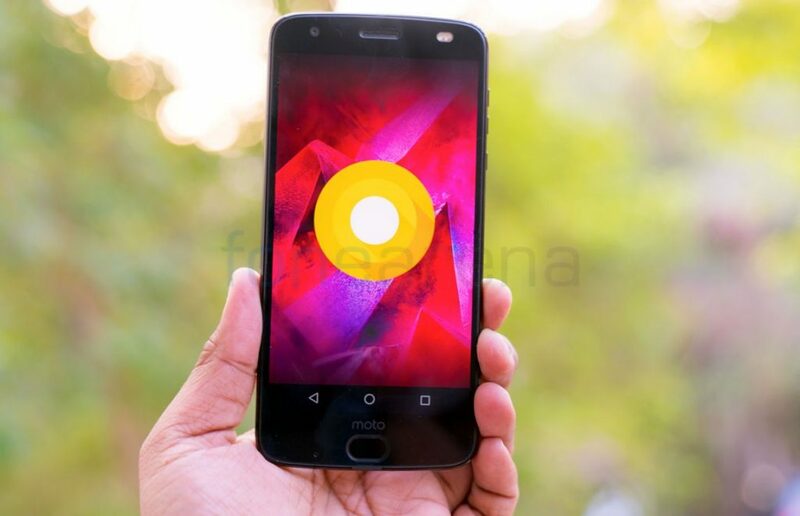 The Moto Z2 Force comes with 6GB RAM with an on board storage of 64GB in India, where it can be expandable up to up to 2TB with microSD. Out of 64GB, we got around 50GB is free and out of 6GB RAM, we got around 4.1GB free on first boot. Google Play Music is the default music player for playback, but it lacks FM Radio. The speaker is present in the earpiece, which is clear and the quality is good and the bundled headset is not the best when used with a converter. 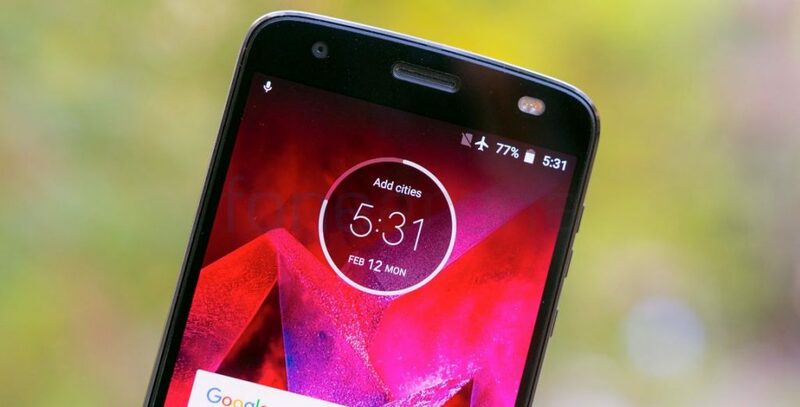 The Moto Z2 Force supports varieties of connectivity options including 4G VoLTE, WiFi 802.11 ac (2.4 and 5 GHz) MIMO, Bluetooth 4.2 (5.0 enabled after Android O), GPS with GLONASS, NFC and USB Type-C. 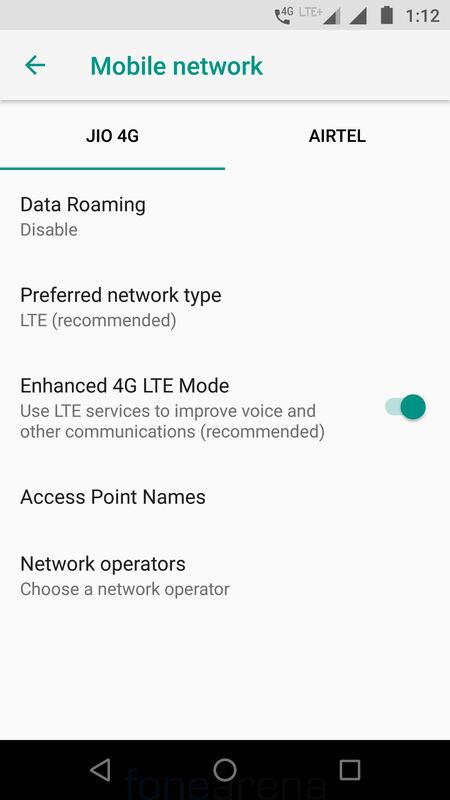 It has 4G connectivity with support for 4G VoLTE for Reliance Jio as well, but it doesn’t support Airtel or Vodafone VoLTE yet. The fingerprint sensor is present below the display, same as the G5 series of phones. It is quick to unlock the phone most of the times as soon as you place your finger on the sensor and offers haptic feedback as well after unlock and if detects a wrong fingerprint. It unlocks the phone even when the screen is off, so you don’t need to unlock the phone for the fingerprint recognition to work. You can add up to 5 fingerprints and you can also use your fingerprint to authorize Google Play purchases. The Moto Z2 Force is powered by Qualcomm Snapdragon 835 chipset with Adreno 540 GPU under the hood. 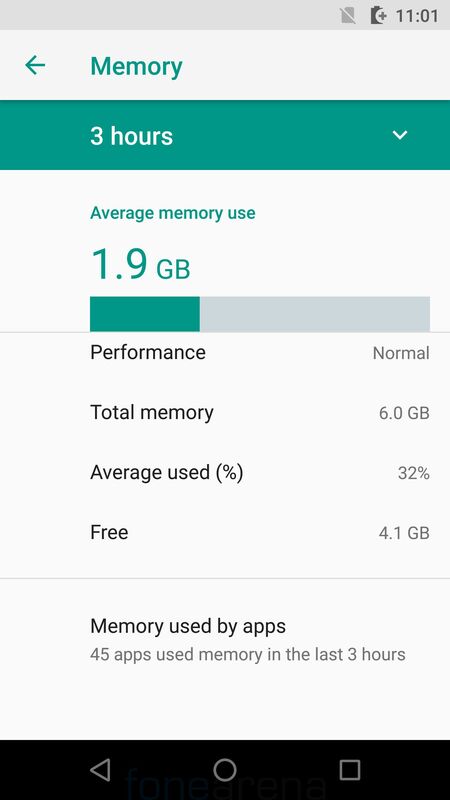 As you’d, we found no problem in the performance be its heavy usage, casual usage, and multi-tasking as well, thanks to 6GB of RAM that lets you run several apps in the background without the phone getting slow . As it comes with near-stock, the interaction with the device is just fluid. 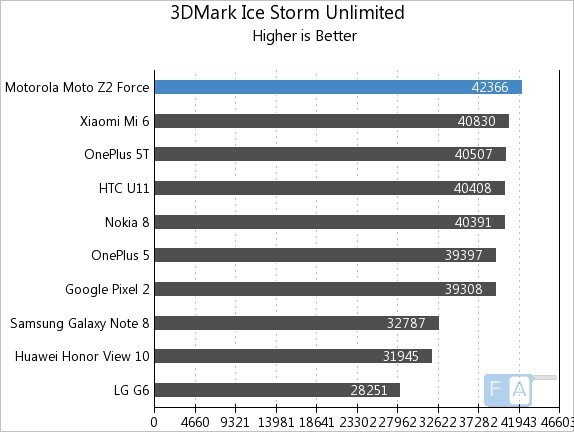 Even the graphics demanding games like Riptide, Asphalt and other games ran smoothly without any frame drops. 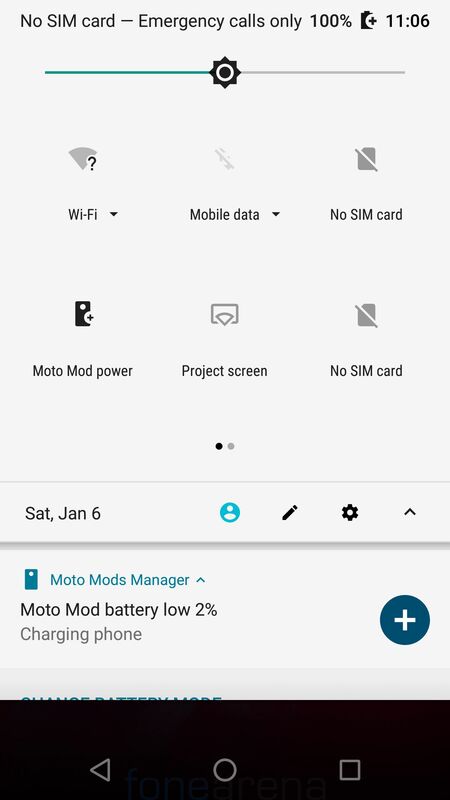 The phone gets hot when charging it using both Mod and Turbocharger. 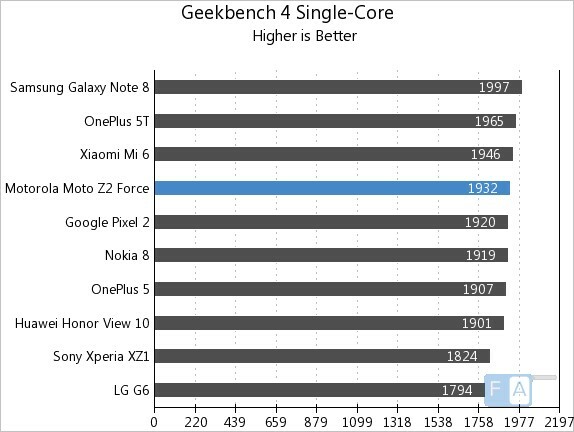 Check out some synthetic benchmark scores below. 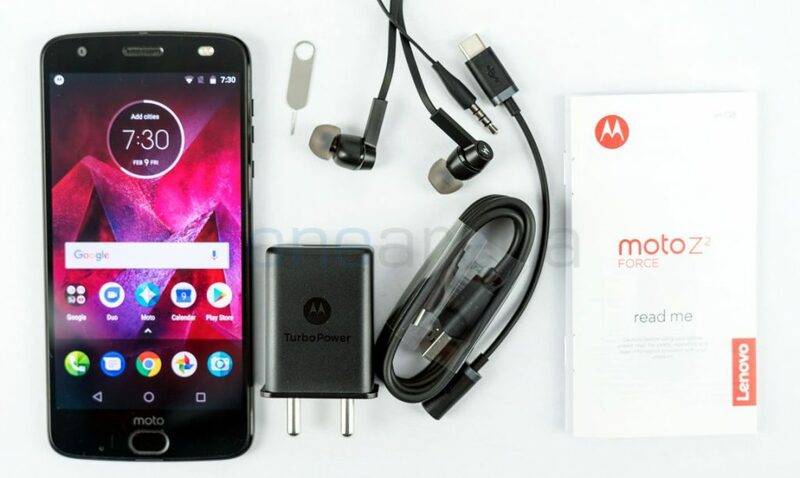 The Moto Z2 Force features a 2730 mAh battery which 22% lesser than the Moto Z Force, which was launched last year. 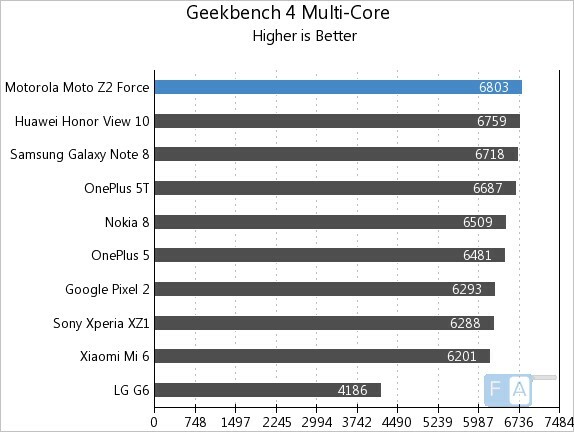 The battery is a total let down, considering its Quad HD display, powerful processor and other factors. 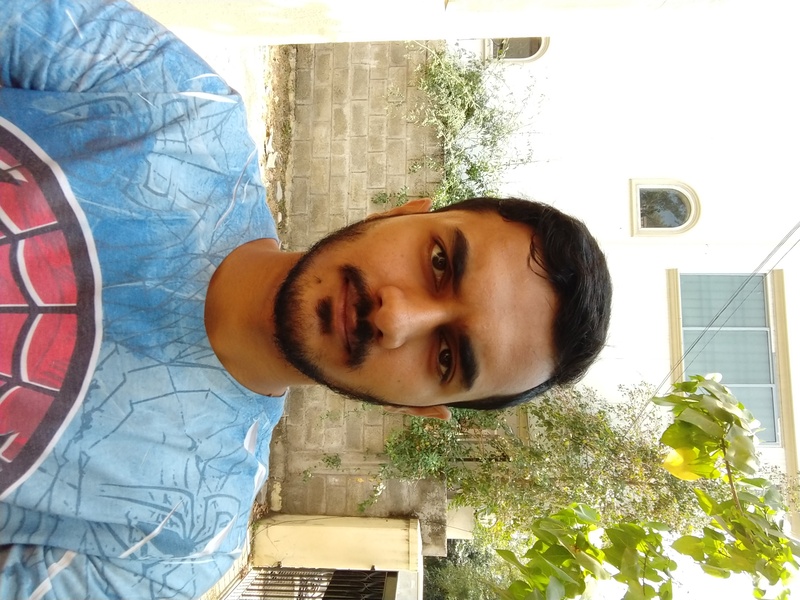 On a casual usage, the mobile takes us throughout a day without any hassle, but on the heavy usage, it’s a bit of problem. 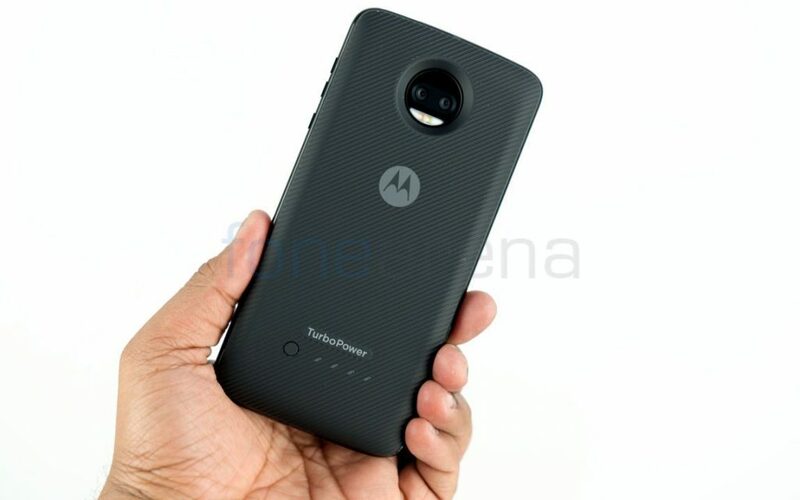 However, with battery pack Moto Mod with huge 3490mAh battery, this shouldn’t be an issue. It has a button on the back along with LED indicators to show the battery capacity. Having said that, the phone gets considerably heated up while charging the device through the Mod, especially in Turbo mode. It also makes the phone bulky since it measures 73.4 mm x 153 x 6.58 mm and weighs 95 grams. 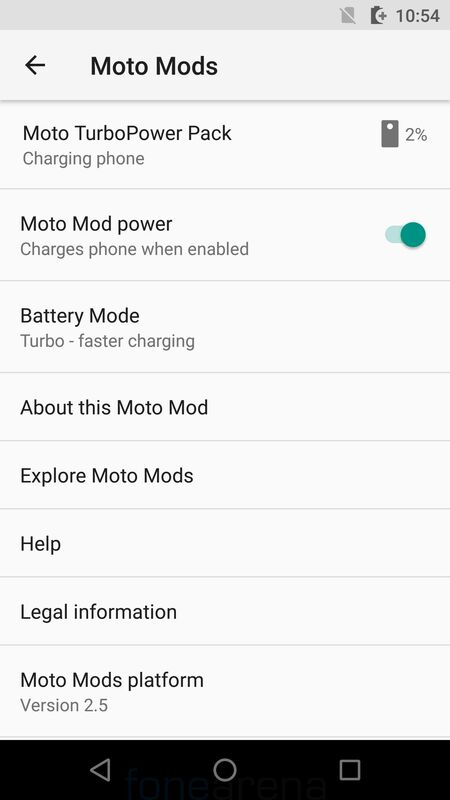 You can also disable the Moto Mod charging anytime from the Moto Mods settings. 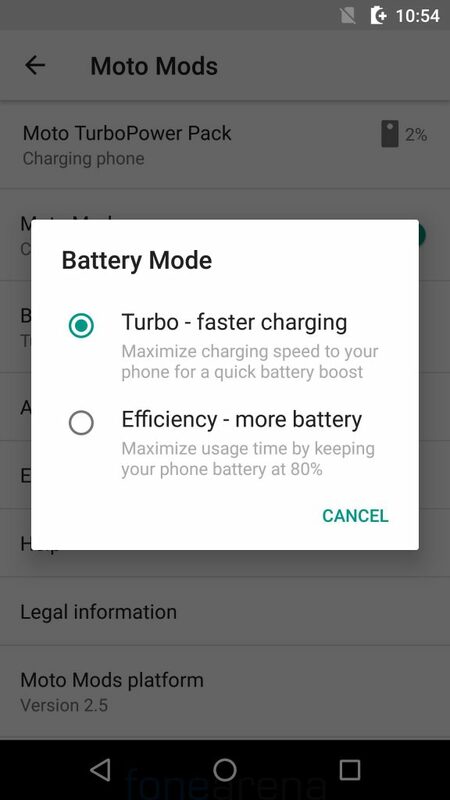 There is a Turbo mode that maximizes charging speed to your phone for a quick battery boost that charge the phone up 50% in just 20 minutes with 15W fast charging. The efficiency mode maximizes usage time by keeping the phone battery at 80% and also doesn’t heat up the phone a lot. 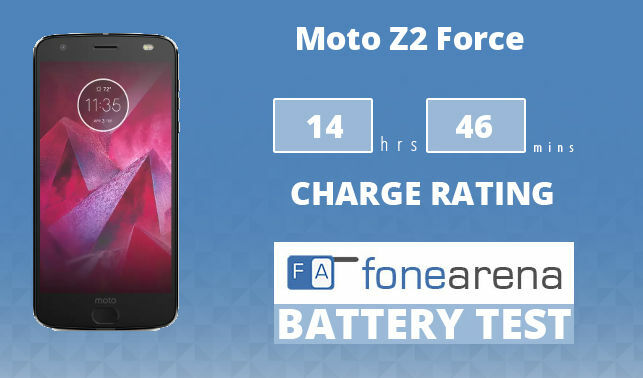 The Moto Z2 Force comes with a Turbo charging technology, that lets you charge the device from 0 to 100% in just 1 hour and 13 minutes and gets charged from 0 to 50% in just 24 minutes. 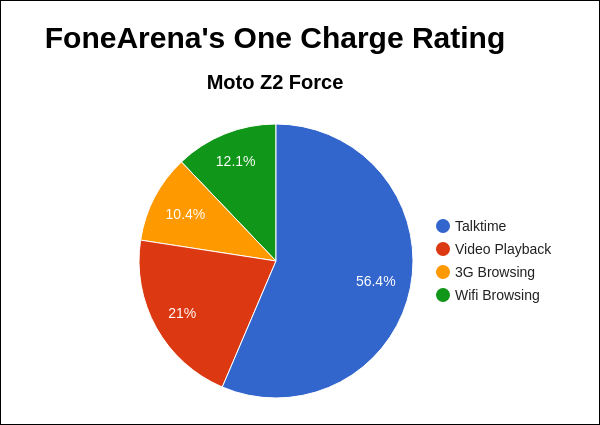 The Moto Z2 Force achieved a One Charge Rating of 14 hours and 46 minutes, mainly due to brilliant talk time, otherwise it is just average. 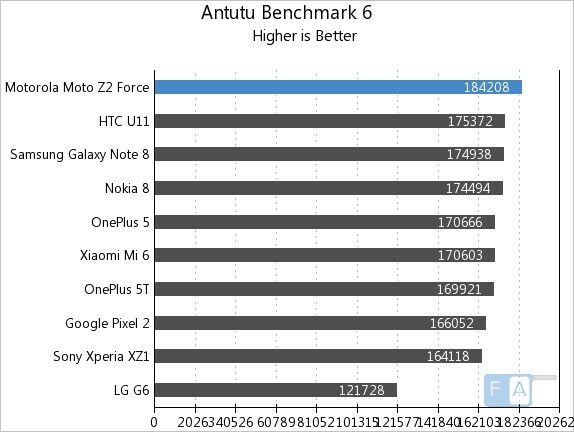 We will bring you the complete set of battery life test results. 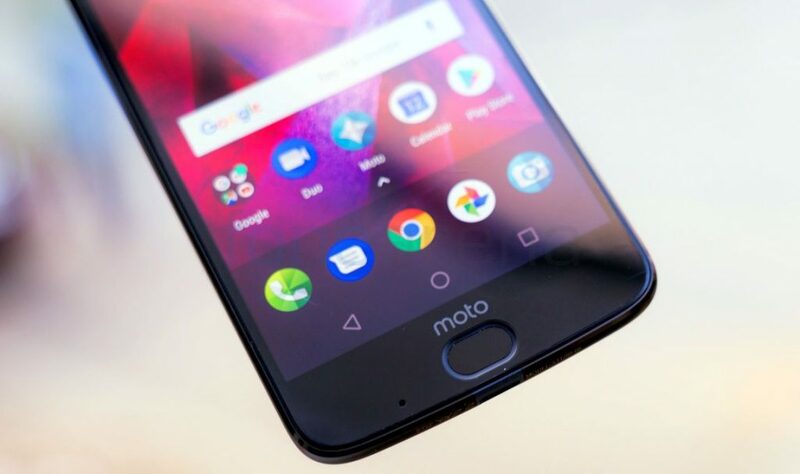 The Moto Z2 Force is one of the compelling devices from Motorola’s outing at a competitive price of Rs. 34,999. 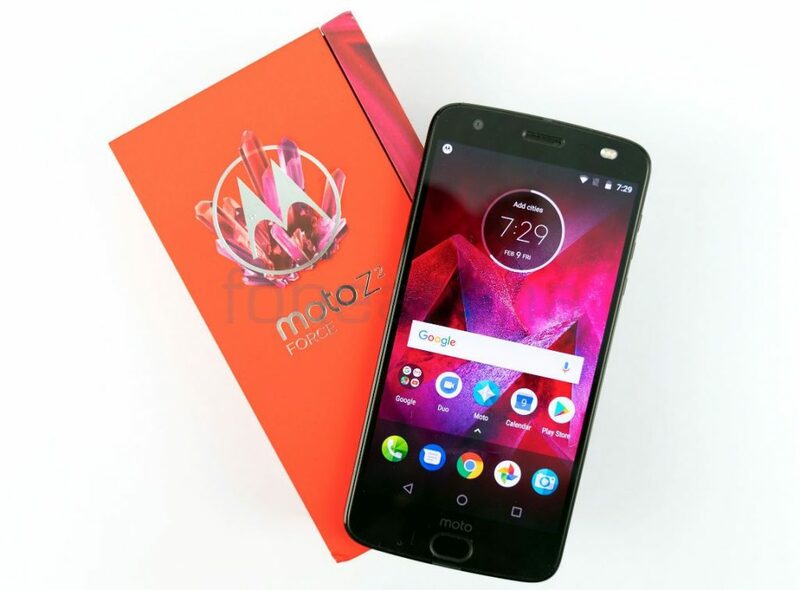 On the whole, the Moto Z2 Force is a blend of slim body, powerful internals, shatterproof display and also comes bundled with a battery pack power Mod. However, lack of 3.5mm audio jack, average battery backup without mod and lack of OIS in camera are some of the downsides, which might make it hard to sell in the market where there is a tough competition in the price segment. 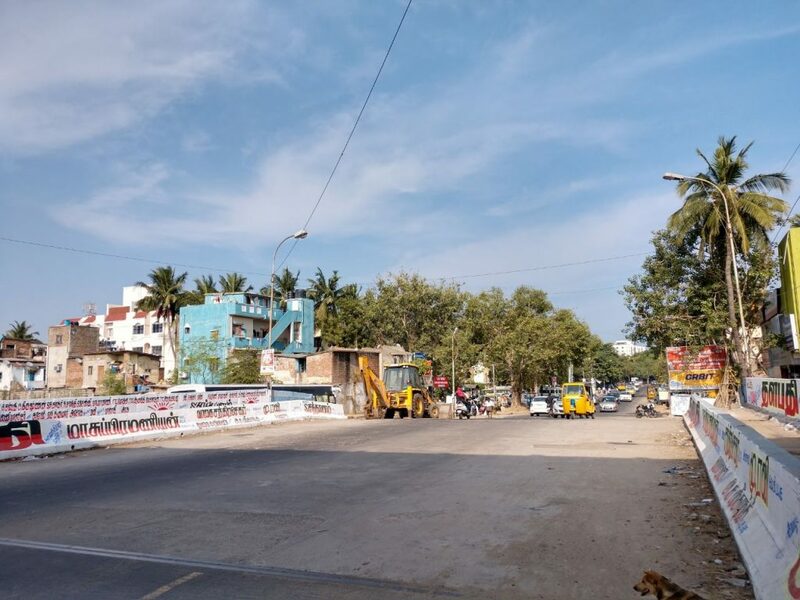 Having said that, the credits should be given where it’s due, but we feel there is a room for improvement in few above-mentioned departments. At this price point, you check out other alternatives including OnePlus 5T, Huawei View 10, Nokia 8 and much more. The phone available exclusively from Flipkart online as well as Moto Hub stores offline across India. To summarize, here are the pros and cons of the smartphone.